A massive and deep magnitude 7.9 – has struck, 41km WNW of Panguna, Papua New Guinea, the quake was originally recorded as a magnitude 8.4 by USGS, and is the seventh major quake of this month and by far the largest of the year so far. All seven have been in the same area. 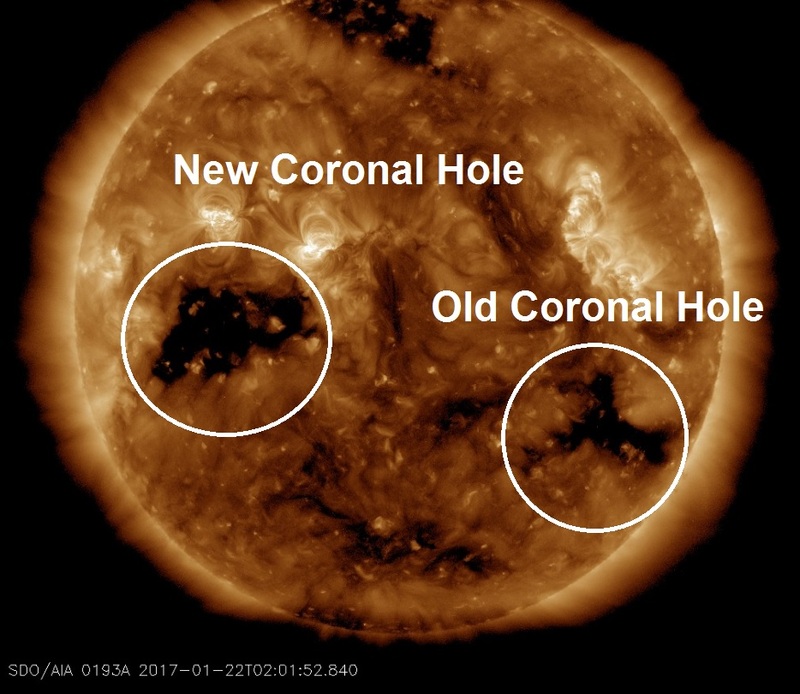 As a large coronal hole on the Sun moves away from facing the Earth another large one is turning to face us, therefore we could be in for more large quakes in the coming days. Credit: NASA/SDO. Coronal holes are considered by some experts to be the primary earthquake factor. Look for the dark patches on our Sun, which indicate that the interplanetary magnetic fields connecting earth to the sun may be about to experience significant fluctuations of energy. Stop it with the sun's coronal holes and their association with earthquakes Gary! There's no association. 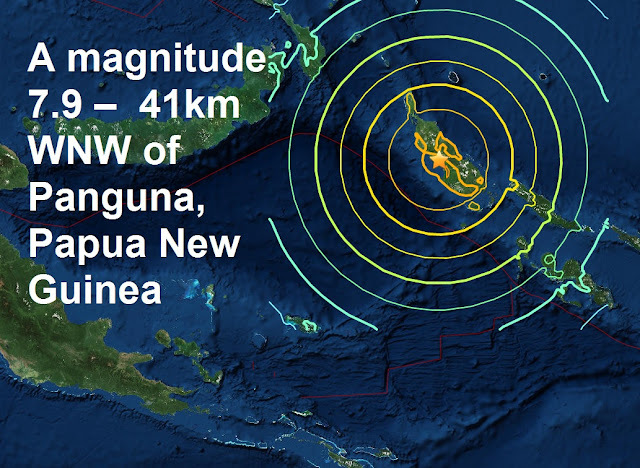 Big earthquakes happened when sun is quiet. Planet X in our vicinity is the cause not the establishment excuse.